It's Citrus Season! 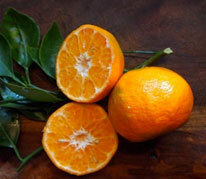 - Kauai Seascapes Nursery, Inc.
You are here: Home › Blog › It’s Citrus Season! Well, we’re about halfway through winter here in Hawaii and that means its peak citrus season! If you have citrus trees in your yard, you probably have more fruit then you know what to do with! If you don’t have any citrus trees, the farmer’s markets have an abundance of juicy orange fruits right now to satisfy your citrus needs. We also have grafted citrus trees available year-round at the nursery, come get one today and have fruit by next winter! 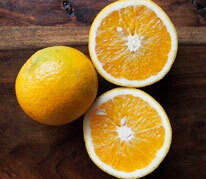 Here is our handy guide to the varying types of citrus and what to do with them. Orange juice is a staple and there are lots of different types of citrus that make amazing juice. If you like the old school flavor of Minute Maid orange juice, go with a Valencia or a Lane Late orange, both are large, juicy oranges with lots of tang and not too much sweetness. If you like a higher sugar content go with a Minneola tangelo or a clementine mandarin, these super sweet varieties make a juice that tastes like liquid sunshine! 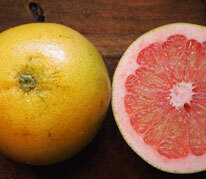 Grapefruits also make amazing juice without the overwhelming sweetness of oranges. A great way to get your vitamin C during the cold & flu season! 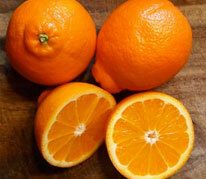 The best varieties for peel & eat tend to be the tangerines. 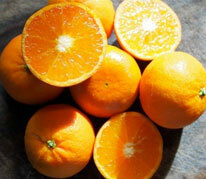 The Dancy tangerine is an easy to peel variety and the Golden Nugget is a sweet, seedless variety. These simple snacks are great for when you’re on the go. 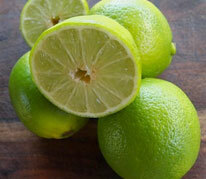 Meyer lemons and Tahitian limes are often the most abundantly producing of the citrus varieties. 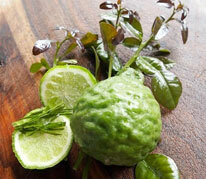 Tahitian limes can fruit throughout the year! When I have an overload of these tart treats I like to juice them and freeze the juice into icecube trays, then I’ll pop the cubes out and keep them frozen in tupperware. In the hot summer months adding a few lemon/lime cubes to a glass of water is the most refreshing treat, add a little honey and you’ve got instant lemonade! 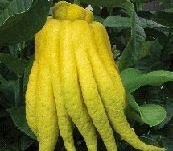 Buddha palm citron is a fascinating fruit, looking something like a cross between a lemon and an octopus. In southeast Asia, this fruit is widely used for its medicinal properties. Its benefits range from reducing inflammation to immune support to relief from menstrual cramps and gastrointestinal distress. My favorite way to use Buddha’s palm is to slice it super thin, layer in a glass jar and then cover with honey. The pithy fruit doesn’t contain any juice but has a soft, somewhat crispy texture. Once the honey has crystallized on the fruit they become slices of delicious citrus-y candy! They are great as a garnish or as a sweet treat. You can also layer the slices in a jar and cover with alcohol! Vodka is a good choice for making a citron infused cocktail. Lemondrop martinis with citron infused vodka are guaranteed to impress! 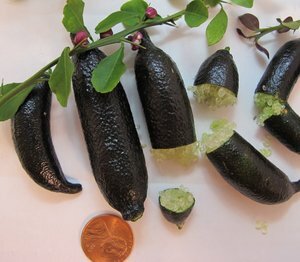 Finger Limes are another super fun fruit! These oddities originate in Australia and are rising in demand with chefs and mixologists. The caviar-like “pearls” of these long, finger looking fruits come in a variety of colors from pink to yellow to green. The pearls can be scooped out and used as a lovely garnish for desserts or cocktails or anything you can think of! Pink Eureka Lemons are another great cocktail garnish. 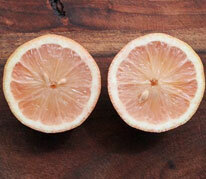 While they are not usually as juicy as their Meyer cousins, the Pink Eureka lemon has a delightful pink color to its flesh and juice. With variegated leaves and fruits, these citrus make an adorable ornamental tree as well as unique citrus peel twist! Kaffir lime leaves are widely used in Thai cooking for their unique citrus flavor. The fragrance of the leaves is quite something and is used in everything from curries to cocktails to mosquito repellent! The knobbly fruits are odd but delicious. My absolute favorite cocktail is a shot of silver tequila with coconut water, a lime cube, and a crushed kaffir lime leaf. Heaven! 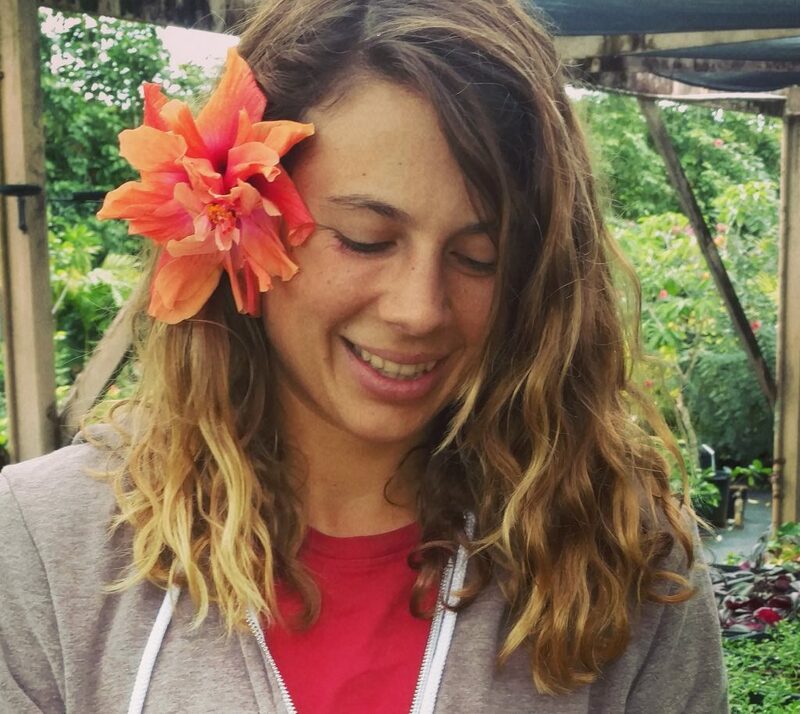 If you would like to learn more about the citrus varieties we have available, head on over to our supplier Plant It Hawaii for more info. I hope you enjoyed this little run down of ideas for enjoying the citrus season! I must say though that while I love almost all the varieties of citrus, I still haven’t figured out what to do with Pomelo. If you have any recipes or favorite citrus not featured here please leave us a note in the comments below! This blog was written by Zoli. 2 Responses to It’s Citrus Season! You forgot Citrus Cream Pies! THE BEST!!! 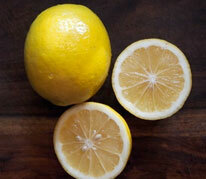 Love this citrus blog and your recipes. I used to have the Buddha hand citron and never knew what to do with it other than zest. If I knew this 30 years ago, the fruit would have done more than just be decorative in my citrus bowls on the table.